A smokey eye is one of the true staple looks when it comes to makeup, and finding the perfect smokey eye look to suit your natural style is very important, so that you know you can whip your signature smokey eye out for any special occasion. 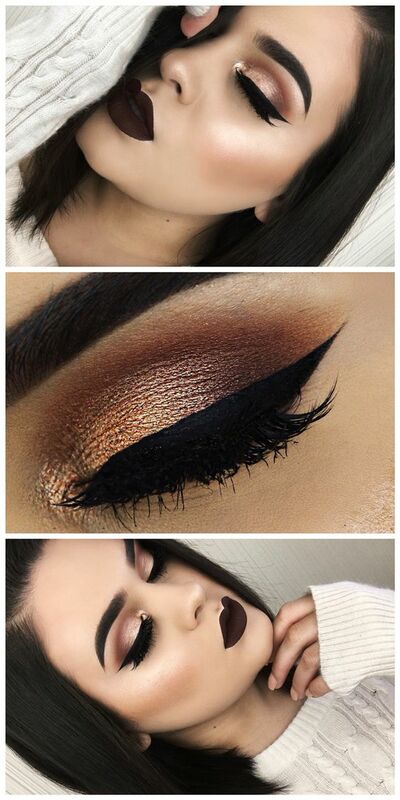 We’ve gathered some beautiful smokey eye make up ideas together in this post for you to browse and hopefully recreate in your own time. This absolutely gorgeous look starts with a shimmery white shade right in the inner corner to act as a highlight, and blends quickly into a stunning champagne pop. Taking a dark matte brown, blend from the outer corner of the eye towards the champagne in the centre. Draw a thin line of eyeliner hugged closely to the lash line, and finish with lots of mascara for a glam look. 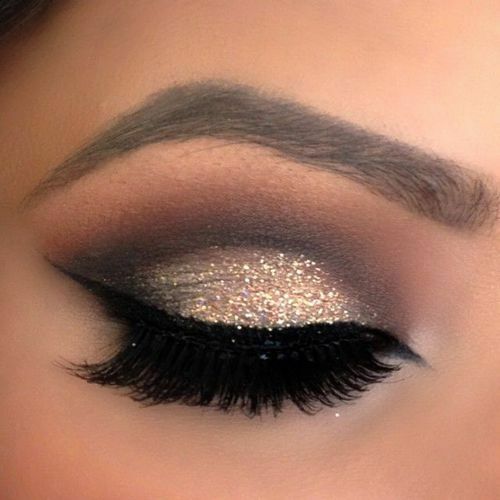 This glittery and glamorous look is daring and dramatic – just perfect for a special occasion! 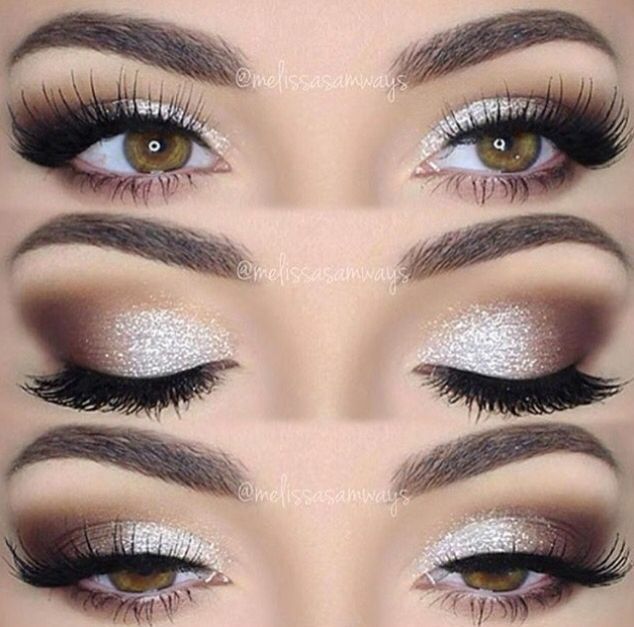 Start with a shimmery silver from the inner corner towards the middle of the eyelid. Take a light, matte brown and blend from the centre of the eye towards the outer corner. 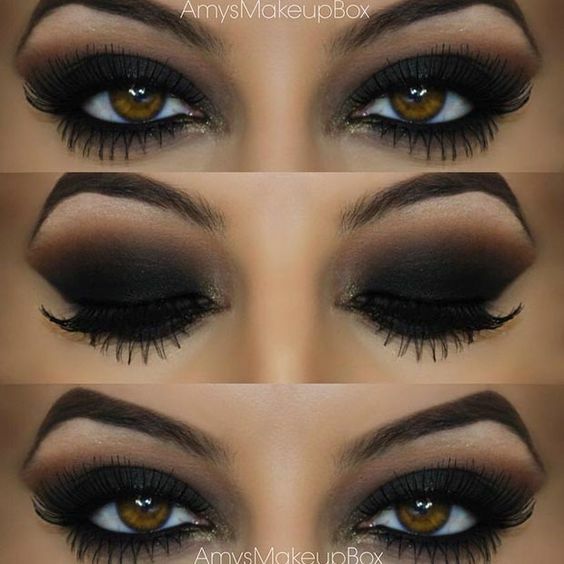 Use a black eyeshadow to blend from the outer corner to meet the brown and blend all the colours out. 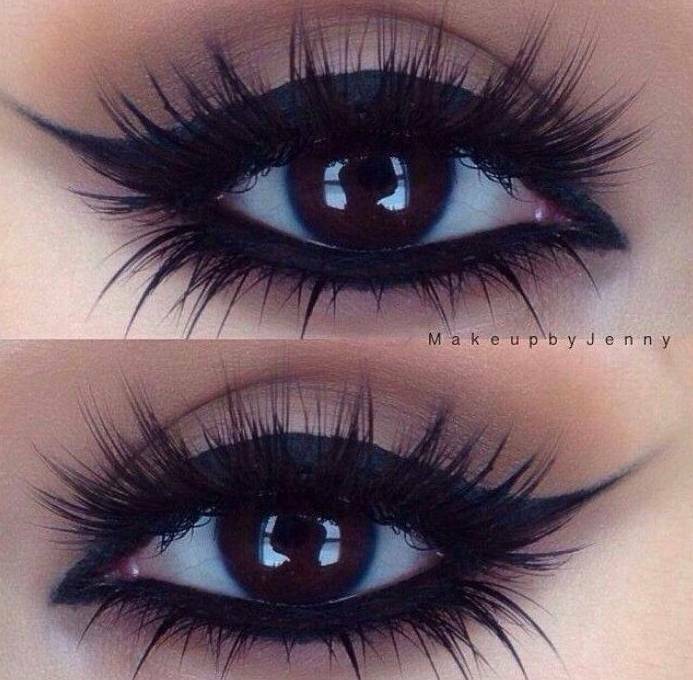 Add a thick eyeliner line around the eye on the top and bottom line and finish with false eyelashes. Start with a lovely matte brown and blend it right throughout the crease, softly out towards the brow bone. Work a black eyeshadow right across the eyelid, working towards a flicked edge which lines parallel to the end of the eyebrow. 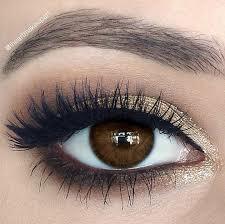 Add a touch of gold eyeshadow into the inner corner, and finish with lashings of mascara. 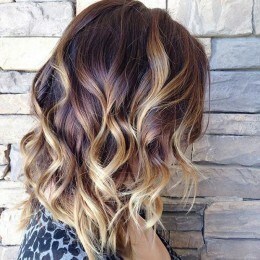 Start with a lovely light brown and brush it lightly under the eyebrow. Take a darker brown and blend throughout the crease and outwards, as well as softly all over the eyelid. Pat a gorgeous glittery gold across the eyelid for a shimmery finish, and use a black eyeliner to hug the top lash line with a fabulous flicked finish. Finish with false eyelashes for dramatic effect. 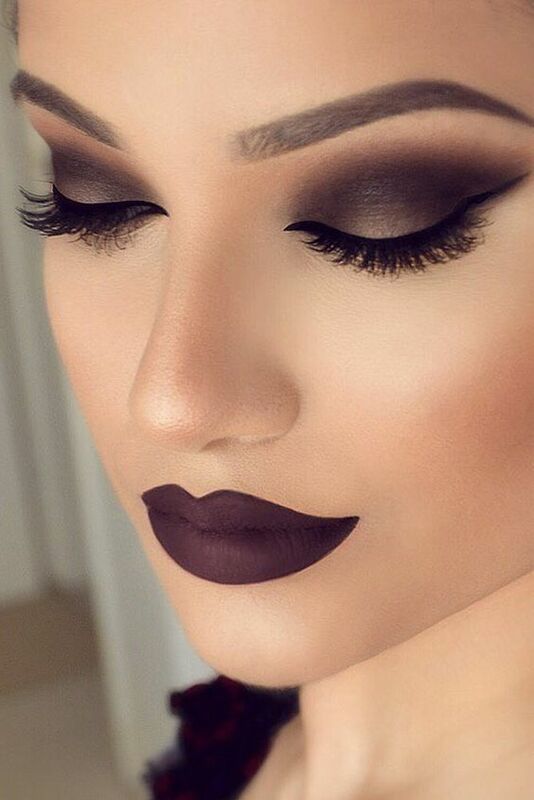 A gorgeous mauve twist on a classic smokey eye, we adore this look. Start by working your mauve shade right across the eyelid, blended upwards of the crease. 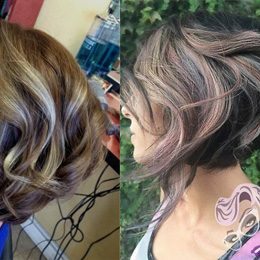 With a dark brown colour, work it from the outer corner towards the centre to add depth to the corner of the eye. Take a pretty gold and pat it on the centre of the eyelid for a sunkissed look, and finish the look with a long and thin nlack eyeliner flick. Start with your shimmer copper colour and dab the inner corner of the eye for a highlight. Then sweep the shadow across the eyelid. With a matte brown, blend throughout the crease and softly work outwards, and then lightly add to the outer corner of the eye, blended softly into the centre. Use your eyeliner to create a thick line from inner to outer corner, finished with a thick flick for effect. Work a dark brown shade throughout the crease and blend outwards towards the brow bone. Take a lovely and deep purple colour, work the eyeshadow right across the eyelid. 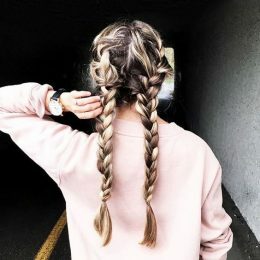 With a shimmering silver, work this colour under the bottom eyeline. Finish the look with a slick of black eyeliner on the top of the eyelid and lots of mascara. 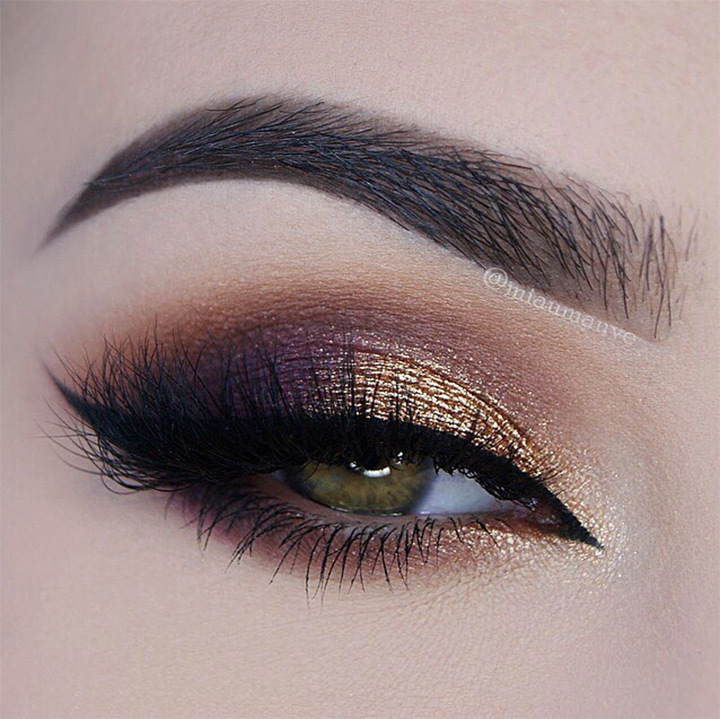 A wonderful brown smokey eye blend, we just adore this look! Starting with a bright white in the inner corner and blended towards the centre, then finished with a gorgeous dark brown blended from the outer corner towards the centre, we love this seamless blend. Use eyeliner to draw a lovely line from the inner to outer corner with a dramatic flick. 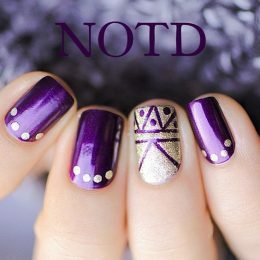 This gothic and glam look is only for the brave, but if you dare to recreate this look it will most certainly pay off! 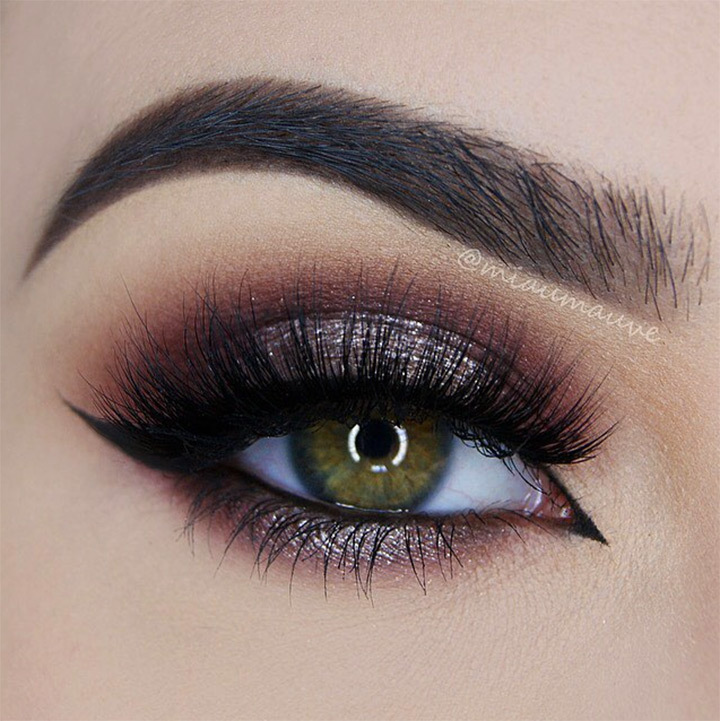 Starting with a dark matte brown shade, work throughout the crease of the eye and smudge outwards, then take the brown shadow again under the bottom eyeline. 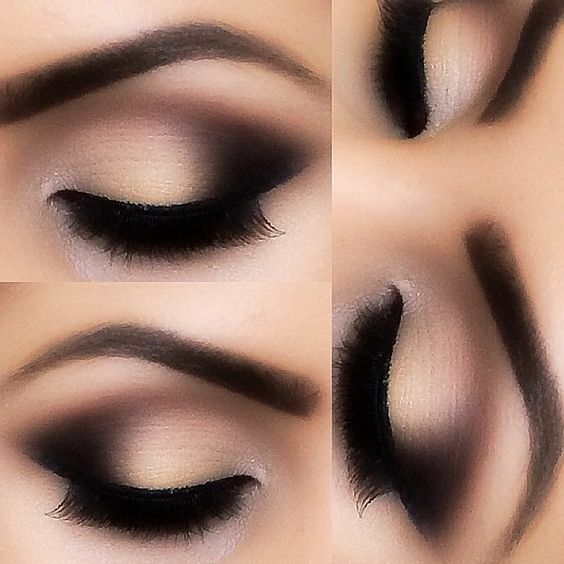 Take your black eyeshadow and beldn right across the eye, ending with a dramatic flick. Add kohl eyeliner to the water line to finish the look perfectly. Start with a neutral matte shade and pat it right across the eyelid as a base. Taking a shimmery silver shade, work it on top of your base and blend it right across the eyelid. Taking a black eyeshadow, work from the outer corner of the eye and create a triangle design with perfectly blends to the silver. 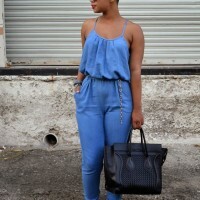 Work the black shade right through to the crease too. Using eyeliner, line your eyes around the top and bottom lash line. 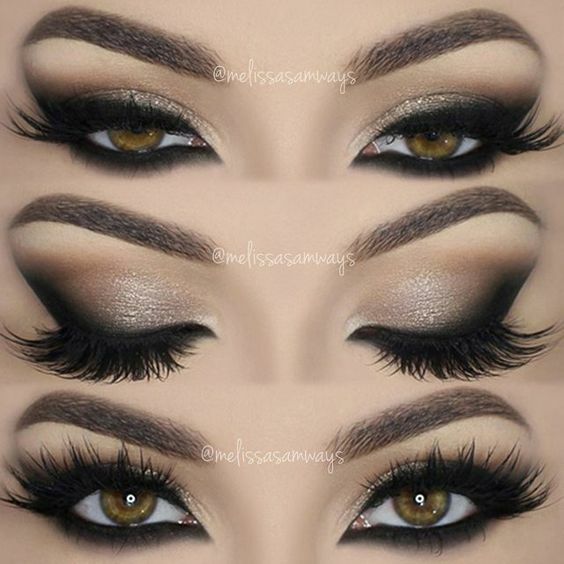 Which of these gorgeous smokey eye looks is your favourite? 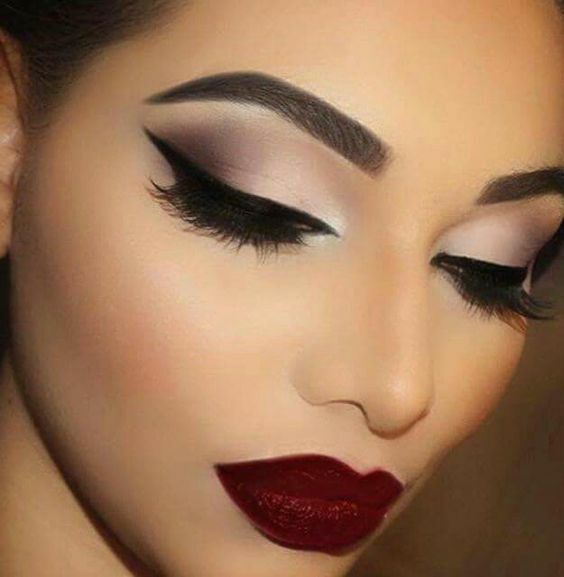 Let us know which of these lovely makeup looks you’re planning on trying out for yourself.